In a 20 minute talk, Francesc gave his latest update on where Go is at, upcoming changes to the language, and the growth of our community. Bill Kennedy looks at how the for range statement provides both a value and pointer semantic form and the mechanics around this. Stay up to date with what’s new in 1.9 with the draft release notes and be sure to file issues for problems you encounter. 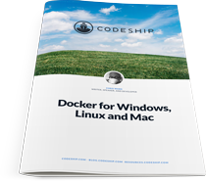 In this free eBook you will get an overview of Docker’s new native applications for Windows and Mac, alongside tips and gotchas on how to use Docker on these platforms. Runs through an example using an interface from the standard library to enforce the data requirements of an application. The first installment of a series looking at the design and choices of Go from the perspective of a C/C++ developer. Another approach at bringing some of the benefits of generics to Go using code generation. We're looking for a Developer to join our Beats team to help maintain the Beats, create new ones, and show support to the community. Get Your Next Go Job Faster. Get Access to 6,000 Companies. Using a tidy file format and Golang's concurrency, our new backup & restore tools are faster, simpler, & more featureful. Based on a research paper, the post uses two tools (MiGo and Gong) to find concurrency issues at compile time. Ginkgo is a BDD framework and Gomega is a set of assertions and matchers. A tool that fetches the README file for Go binaries from one of many possible locations and formats the page in the terminal. Adds functions for sessions, HTTP error handling, flash messages, etc.